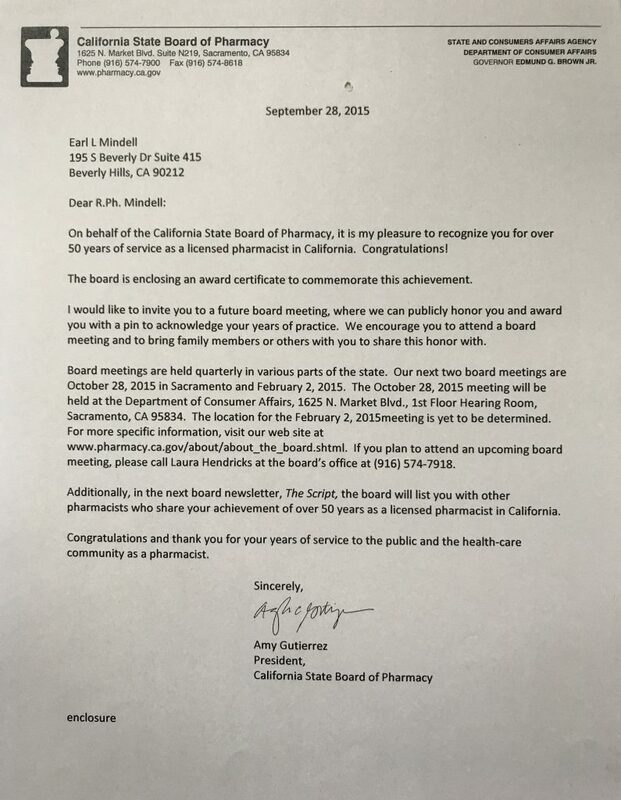 It’s hard to believe that I have been a Registered Pharmacist in California for 50 years! It’s nice to be recognized for this fete, however. Thank you State Board of Pharmacy. I’m ready for the next 50!